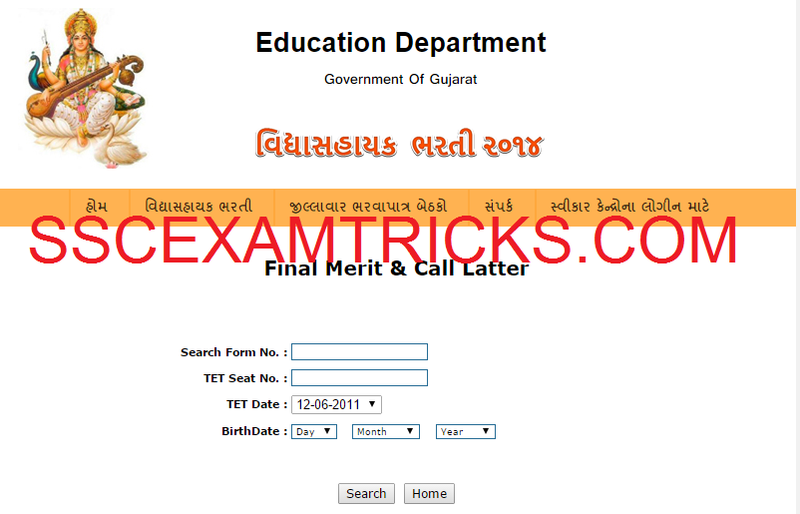 Gujarat State Education Board has declared waiting round for shortlisted candidates on official website. The latest news is that GSEB is going to release online call letters on 01st June 2015 on official website www.vidyasahayakgujarat.org. Those candidates who are waiting for GSEB call letters 2015, they can download their GSEB Call Letters 2015 from the direct link provided below. 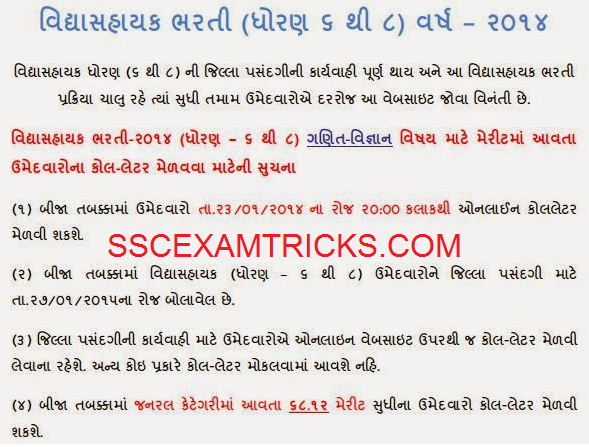 Gujrat State Education Board has released Final Merit List and Call Letters for Second Round of recruitment for 4351 post of vidhyasahak (Standard 6-8) for Math/Science, Language and Social Science on the academic performance. 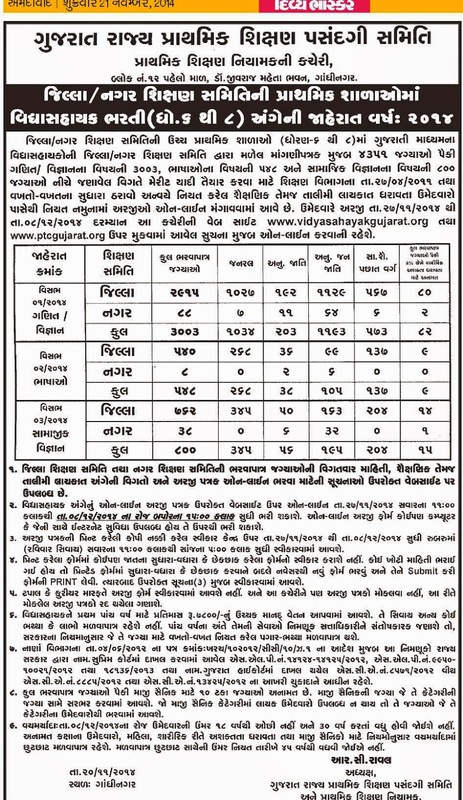 Those candidates who had qualified Gujrat TET applied for these posts through filling online application from 27th November 2014 to 08th December 2014. In the advertisement, Vidhyasahayak posts were invited for Maths / Science (3003 Posts), Language (548 Posts) and Social Science (800 Posts) though ONLINE mode of application. GSEB has declared Final Merit List of short listed candidates on the official website. Those candidates who have applied for the posts and waiting for the result of Final Merit List can download their Final Merit List result from the direct link provided below.